Royal Caribbean Looking For "World's Most Adventurous Squad"
Cruise News Royal Caribbean Royal Caribbean Looking For "World's Most Adventurous Squad"
Royal Caribbean has started searching for the “World’s Most Adventurous Squad,” travelers will have to turn it up a notch to be noticed by the Miami-based cruise line. The cruise line is looking for the most adventurous groups of travelers and will be setting some challenges to select the best of the rest! The group of winners will win trips anywhere Royal Caribbean sails to help live up to their newly minted title. The challenges will be on Instagram where participants are given the opportunity to share their most impressive photos for a chance to win. Participants can enter any one out of five challenges which each run for 72 hours on Royal Caribbean’s Instagram account starting on March 29 and through April 12. To take part in the challenge, adventurers simply post their photo to Instagram, tag three friends that will comprise their squad and use the hashtag #AdventureSquad and #Contest. 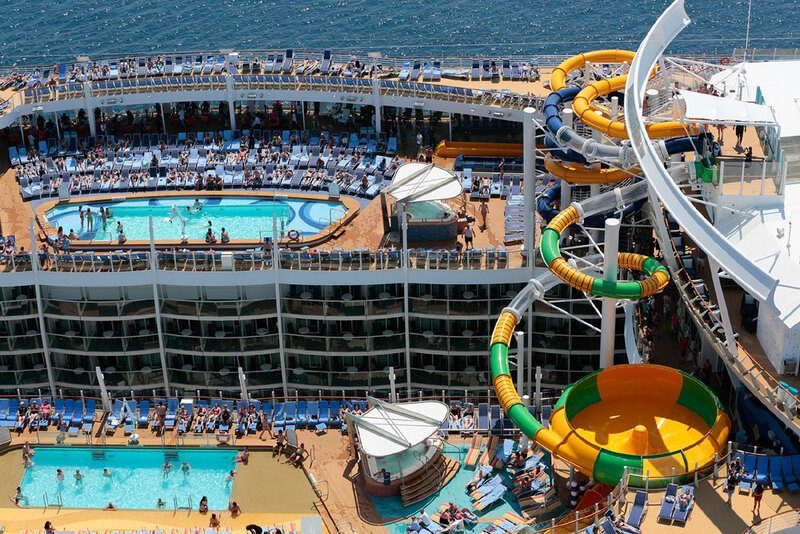 Royal Caribbean will select a winner for each challenge, all the winners will then get to sail on Harmony of the Seas which is the world’s largest cruise ship. When onboard the vessel finalists will go head-to-head to capture and share adrenaline-pumping content both from the ship and exotic destinations, including Labadee, Haiti, Royal Caribbean’s private destination; Falmouth, Jamaica and Cozumel, Mexico. At the end of their adventure, the squad that most embodies the spirit of adventure will be named the “World’s Most Adventurous Squad” and win trips anywhere Royal Caribbean sails. The challenges will be hosted by Australian travel blogger Tyson Mayr and everyone can follow using #AdventureSquad on Instagram and Snapchat. Time to start getting your groups set up because this is a great opportunity.